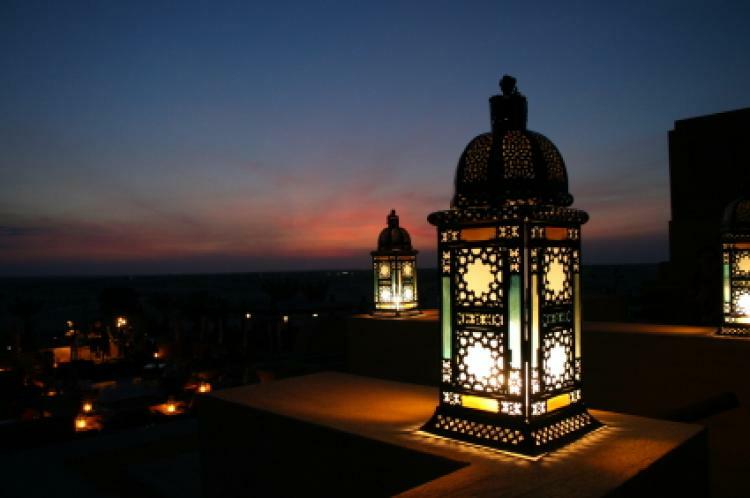 Ramadan is a blessed month in the lives of Muslim couples, one that they should embrace with open arms as it is the month that they can use to get closeness with each other and to strengthen their relationship. However, it is no secret that in Ramadan, while we understand the pain of the underprivileged by not eating and drinking the whole day, we also have our tempers running during the month because of the abstinence. Both the husband and the wife should recognize and accept that this will happen unless they show good patience with each other. Regardless of whether tempers will run high during the month, it is NOT an excuse to stop fulfilling your responsibilities towards your spouses’ during the time. There are a great set of responsibilities that husbands have towards their wives and wives have towards their husbands but these increase ten folds during Ramadan as extra effort are required to make sure that the relationship is not strained. The responsibilities of both start much prior to Ramadan, not on the first day of Ramadan itself. Before Ramadan is set to begin the husband should make sure all the arrangements are made to welcome the holy month in terms of commodities of use for the month. So the husband should stock the ration which includes fruits, dates, sehri items and more for the entire month. This makes it easier for the wife, the home maker, to manage the affairs of the house without having to get frustrated at little things that are not present whilst she prepares. It is the responsibility of the wife to ensure that everything is planned properly in terms of her schedules, her cooking, her children’s’ school timings and her husband’s work timings. This is essential as Ramadan, especially in Muslim countries, faces a change of timings in most activities and if not balanced properly, it could lead to arguments and disagreements between the husband and the wife. The duty to make sehri and iftar, however, does not only rest with the wife. The husband is responsible and expected to help his wife make sehri and iftar for the family and even wash the dishes and clean around, just as the holy Prophet (PBUH) helped his wives. This frees up time for both the spouses so that they can focus on pressing matters like reading the Quran, preparing for Taraweeh and praying (sometimes together!) If a wife wants to read taraweeh at home, the husband should honour her wishes and make the necessary arrangements for her. In the same way, a wife should be supportive if the husband decides to go into Ittikaaf. There is nothing more fulfilling and beautiful than a husband and wife praying together during the holy month of Ramadan. It is the responsibility of both the partners to make sure they leave everything and focus on them praying together, for the blessings that they will receive in Ramadan are the most. Whilst praying the husband and wife should look at each other with love because when they do that Allah looks at them with mercy. I know of an incident when the husband and wife even held hands whilst praying together, brings about emotional closeness. Both the husband and wife should ensure that Ramadan does not take a toll on their spouse’s health and they should take care that each eats properly in sehri and does not overwork till iftar. They should care for each other’s well being. Apart from physically taking care of each other, they should also make sure that the other is not faced with any stress of worldly life as people they should focus on getting the blessings of Allah through prayer. Balanced realization of all the responsibilities towards each other during this holy month will bring them in Allah’s good books InshaAllah so never forget your responsibilities towards your spouses.